Powerbox Pacific Ltd understands privacy is a concern to internet users, and is acutely aware of and sensitive to the privacy concerns of our customers. Powerbox Pacific Ltd is therefore committed to protecting your right to privacy. Powerbox Pacific Ltd may collect information about your visit, including pages visited, the links you click and other actions that you have performed in relation to Powerbox Pacific Ltd’s website, IP address, browser type, language, access time and referring website address. This collected information will help us improve the site, whilst deliver the service/transactions you have requested. Powerbox Pacific Ltd does not sell information about our customers or site visitors to any third parties. Powerbox Pacific Ltd may appoint contractors to conduct services on our behalf, such as handling the processing and delivery of mailings and parcels, hosting websites, processing transactions, or performing statistical analysis of our services. Those contractors will be permitted to obtain only the personal information they need to deliver the particular service. Any contractor used to conduct a service is required to maintain the confidentiality of the information they hold and are prohibited from using it for any other purposes. 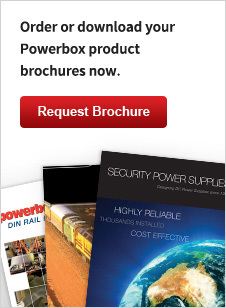 Powerbox Pacific Ltd will respond to any received enquires and any receiver requests for service or information. We may retain this correspondence to improve our products, services and website. As such, contact information may also be retained so that we can send individual updates or other important information about our products and services. Any queries regarding this Privacy Statement should be directed to sales@powerbox.co.nz.